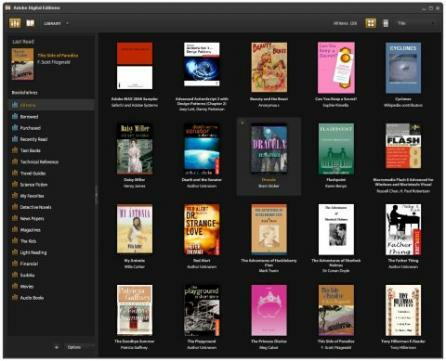 Adobe digital edition has made reading and managing of eBooks and other digital publications easy and exciting at the same time. Adobe digital edition comes with some very useful features like bookmark, highlighting text, adding comments, full screen mode, borrowing eBooks from several public libraries, various options to organize files, printing, etc. that makes reading more enjoyable. The latest version of Adobe Digital Edition also gives you an option to migrate library from the older version. Adobe Digital Edition has the compatibility with various screen reading programs like NVDA, Windows Eyes, JAWS for Windows and VoiceOver for Mac.